GALICIA TURISMO TURISMO DE GALICIA | Destinations | The unknown Galicia, Val de Lóuzara. The unknown Galicia, Val de Lóuzara. Walking calmly through trees, rivers and streams without listening to the sound of cars or the murmur of a crowd of tourists is a desire of many nature lovers. In the Val de Lóuzara, in the municipality of Samos (Lugo), it is possible to disconnect from the hustle and bustle and get in touch with one of the most unknown natural spots in Galicia. In addition to being classified as a Site of Community Importance within the Natura 2000 Network due to its natural wealth, the valley also offers a wide selection of hiking trails and points of interest that are hardly known to the general public. San Xoán, Gundriz, San Cristovo and Santalla are the four parishes that host this valley. An environment with a poetic and sculptural route in honour of the poet Fiz Vergara Vilariño (1953-1997). This particular itinerary, just ten kilometres long, has nothing to do with a traditional hiking route. It is a project, promoted by his friends (many of them within the Ergueito Cultural Association), in homage to the poet that allows us to get to know in depth the lands that inspired the author. The itinerary, which is divided into thirteen stages, houses one work of art per stage, illustrated with the words of the writer. Along the way, which covers all the points that are related to the poet’s life, are original artistic creations by Primitivo Lareu, Álvaro de la Vega, Violeta Bernardo, Paco Pestana, among others. Some of them are arranged in complicated places such as ”O Home en tránsito”, a metal sculpture of a man crossing a river on a cable suspended over the river. All of them, however, are perfectly integrated into the lush surroundings of the Val de Lóuzara. The author’s words about his native land are just one example of the enormous scenic value of the area. 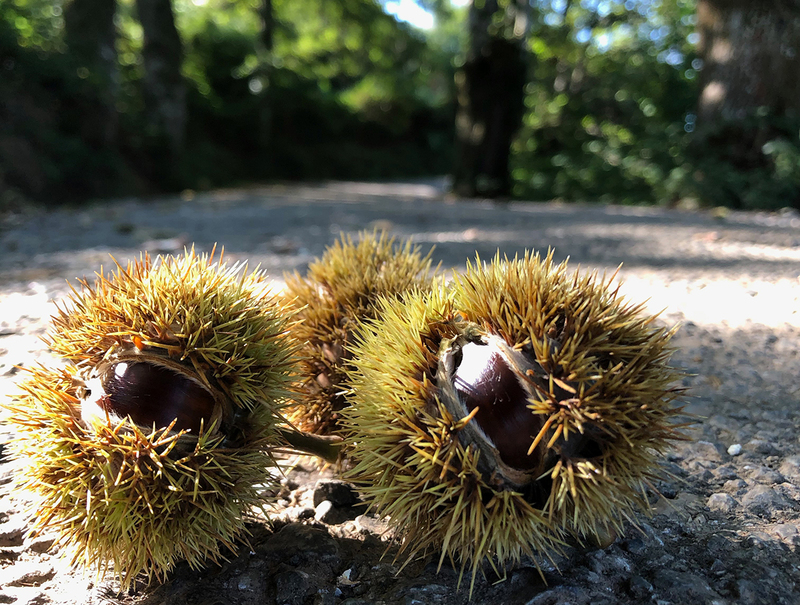 One of the main attractions of the valley is the place known as A Fervenza de Augadalte, a waterfall surrounded by chestnut trees where a stream falls from approximately 30 meters high. It starts at the Fonte do Barro and runs along a very short path to its fall, where a small pool of water forms that adds even more charm to the place. One of the best times to visit the valley is between summer and autumn, as the more water the stream carries, the more spectacular the waterfall is. In the surroundings of this waterfall, although they are now abandoned, you can enjoy the sight of the traditional constructions that were used to store grass. An almost bucolic setting of bridges, meadows and autochthonous forests that also turns out to be one of the few areas of the Galician community where there are limestone caves. Underground caves formed by the water that seeps into the subsoil, which allow us to learn valuable information from millions of years ago. Cova Grande, in the town of Santalla de Arriba, is one of the most important caves in this valley. It is a set of stones carved by water that stands out -among other things- for the colour of the rock, for its numerous stalactites and for making its way into different spaces of very small size. 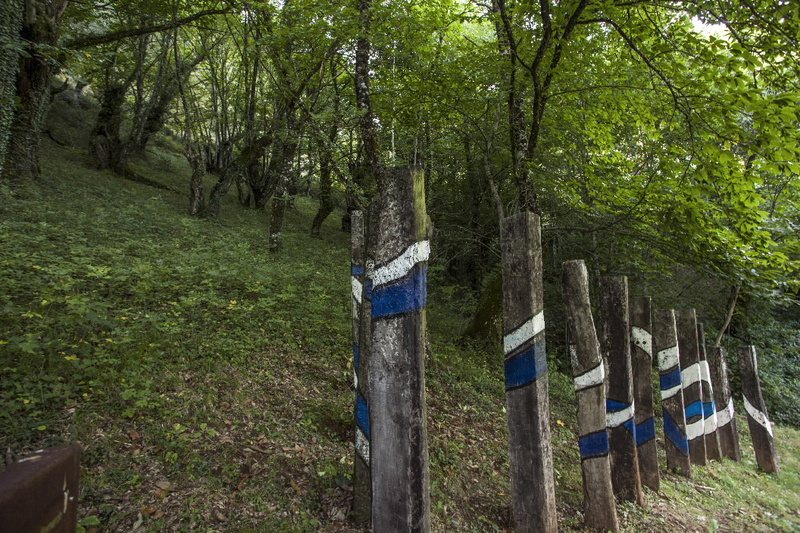 Whether you follow the tribute route or not, the Val de Lóuzara is a magical place that allows you to discover a Galicia in its purest form. 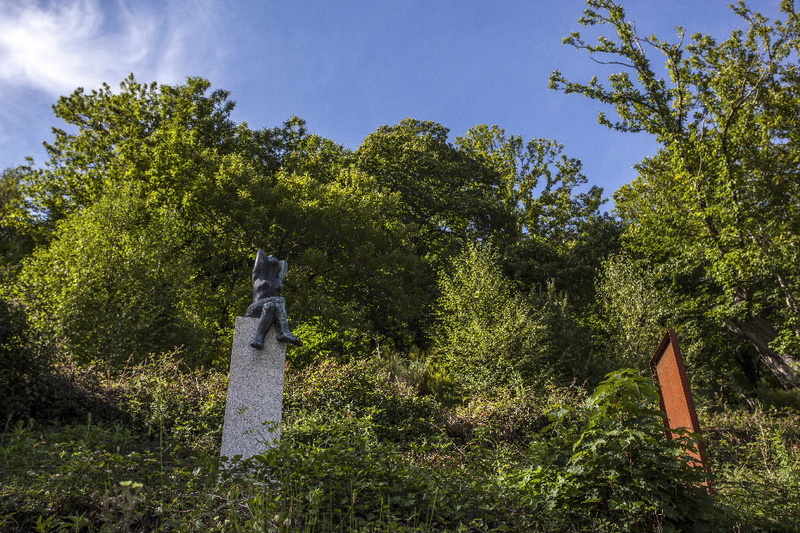 The mountains, vegetation and architecture of the area trap each visitor in a natural context that Fiz Vergara himself portrayed in his poetry books. ← What to do in Galicia from 8 to 14 October?